Did you ever have a design you wanted to cut as a stencil on your Silhouette only to realize that parts of the design or font 'falls out' when you pick up the stencil. You're left to hand place the inside of the design or letters such as 'o' or 'e' (that part's called the 'counter'). Well I have a little trick up my sleeve to help you easily modify designs and fonts so they're more stencil friendly. It's all in the bridge. Let's take the word 'stencil' for example. I've drawn a red box around it in Studio to represent the stencil material. Hopefully it will help you more easily see what the stencil will look like when you cut and weed it. This is what the stencil looks like in Silhouette Studio of course. You can see that you lose the counter in the 'e'...so you'll have to hand place it. (If you are working on a wood sign and can use transfer tape to move your stencil you won't experience this problem.) Soo....that's where this little bridge trick comes in. To keep the stencil completely intact, so you can pick it up all in one piece, you are going to make a bridge by using the eraser tool. In Silhouette Studio, zoom in really really close on the area where you would normally experience the 'fall out' (in this case the e). Then click on the eraser tool (in blue along the left sidebar). If you have Designer Edition you'll get extra eraser options. Just be sure you are selecting Treat Unfilled Shapes as "Solids". Place the mouse/eraser right over the area you want to erase, so you can erase a small section of the letter to create a bridge from the counter to the outer part of the stencil. You want to erase the smallest section necessary to create the bridge. If you don't have DE you may find it necessary to use the knife tool to create the bridge, in that case see this tutorial. Now you have created a more stencil-friendly font while still using the font of your choice because the counter is connected to the outer area. If the edge of the font or design isn't smooth because of the shape of the erase, as the e wasn't for me, open up the edit point and delete a few or smooth them out to. To open up edit points, select the design > edit points tool. Then click the edit point that's creating the unsmooth area (ie the one indicated here) and then select "Delete Point". If the bridge really bothers you, you can hand paint it after you've painted the rest of the stencil you can, or you can leave it as it is. I usually just leave it because you're the only one who's going to know that's not how the original font was formed. This technique works the same way for designs - you just have to be creative about where to place the bridge. 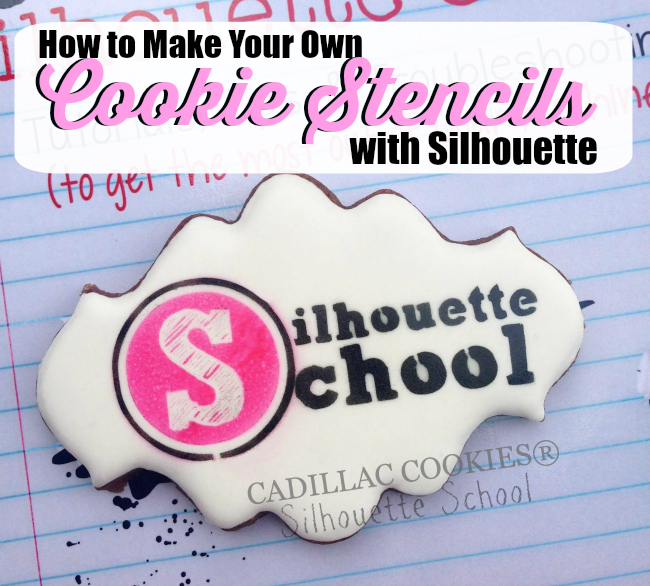 In this second part of this tutorial I show you how to make cookie stencils with Silhouette and this technique came in very handy! We modified the design by using the bridge technique to keep the counters in the e's and o's and to keep the circle design intact. Check out the full Silhouette cookie stencil tutorial here. I've been using the cut using the rectangle - subtract method. This is so much quicker. Thank you for the tutorial, still not sure if I totally understand but it's a start point. This is very informative site. I am totally pleased by your excellent work. Many thanks for sharing. I was making a huge stencil. then i've printed it at the multiple pages...sure with glue I've made it...stencil was really correctly and amazing. 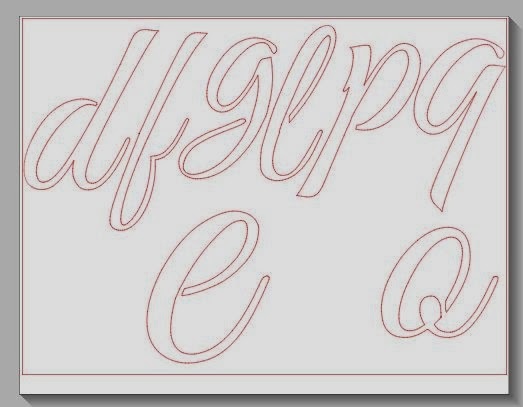 Do you have any idea why this works on some stencils and not others? I was so excited to not have to erase and redraw lines! But it only seems to work about half the time for me.. even when both stencils are on the same mat?